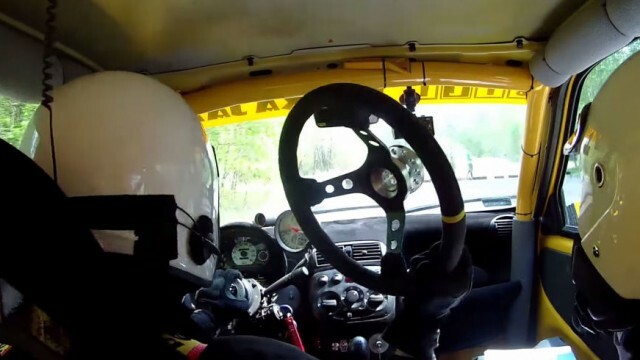 What would you do if suddenly your steering wheel comes off while you are driving your car in a rally? You will probably freak out, park your car on the side and start crying, unless you are from Poland. The following video shows a how this Polish rally driver drove off his car during a rally when the steering wheel of his car came off. At first, it seems the driver decides to do what a normal man should do in these circumstance, then he realizes he’s from Poland and in Poland steering wheels are not really important. So he uses his fists to grab what’s left of the steering column and drives off his vehicle back on the track. Even the co-driver has no issue with it. Looks like they are old chaps.